In 1993 we started serial production of porcelain enamel signs. Since 2000 we have been producing embossed tin metal signs. We have recently extended our range to include the following: Our light fast aluminium signs bridge the gap between porcelain enamel signs and tin metal signs. Fa. Classic Emaille GmbH, founded by ourselves in 2009, is your partner for house numbers, communal signs and small-scale productions. What you receive from us is European products manufactured in Germany and in the Czech Republic. You may rest assured that we will act responsibly when dealing with your trademark rights. Our signs are not made of mixed material and hence they are recyclable. Emailleschilder von Halem GmbH, Classic Emaille GmbH and SMALT Brno spol. s r.o., are three companies serving different market segments and being located in different locations. All three are part of the Halem Group. The nature of this group is unprecedented in the range of products on offer, quantities, prices and variety. Not only do we make signs, we are also your one-stop shop for anything from graphic design and pre-press down to custom-made, printed packaging. Our complete quality control helps assure that our products are flawless. Give us a call and we will be more than glad to advise you on all kinds of signs available. 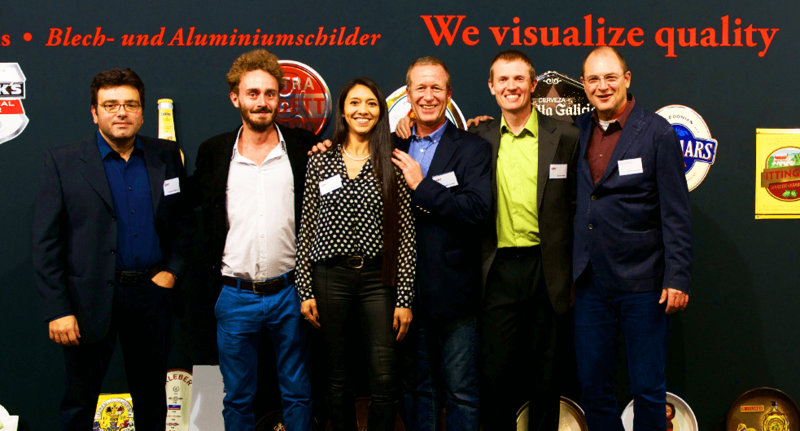 You can reach us on +49 (0) 8165 / 80177 or send us an email: info@emailleschilder.de. We look forward to your enquiry.